JBL CLIP 3 is rated 4.0 out of 5 by 81. Rated 5 out of 5 by BStain from Great Travel Buddy I have purchased several for my nieces and nephews. They loved them so much I got one for myself and understand why. I clip it on my belt loop or near by while working around the yard. What a joy and superb sound. I have no doubt there will be more purchases in my future. The color choices are awesome. Don't ever get rid of them. Rated 5 out of 5 by Easter0912 from Ease of use Brought this item recently and very happy with product. Easy to use and set up and very good quality. 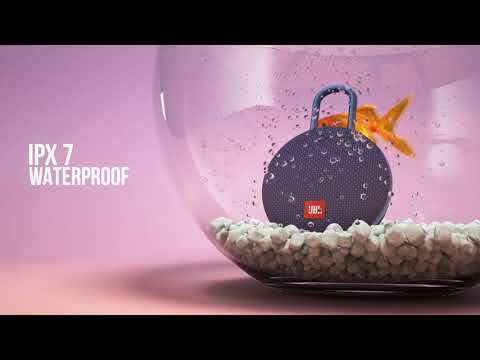 Rated 5 out of 5 by Case12 from Great little speaker! Good sound quality, light weight and the carabiner is really handy. Brilliant for taking on hols. Rated 5 out of 5 by Meliak from Power and quality combined. Fantastic clip feature, quality and design with uninterrupted sound. Exceptional value for money. Unfortunately you cannot turn of the auto-shutoff feature for the JBL Clip 3 or on our other portable devices. This is to ensure that the device saves energy as much as it can so you can use it for longer times.